ACTING: Make It Your Business has been adopted as required reading at universities leading in BFA and MFA programs including; Rutgers, NYU, Elon and Millikin University. Author, casting director and SDC director Paul Russell also offers performing arts educators and their students weekend or single day master classes. Russell has been a guest artist in residence and a master class instructor on numerous campuses including; Yale, Rutgers, University of The Arts, Louisiana State University, Temple University and Elon University. Books will be shipped by Watson-Guptill in care of your institution (they do not ship to home addresses). Watson-Guptill Publications, a division of Random House, Inc.
Beginning Before Arrival: Paul Russell provides an interactive private web page for the majority of his master classes. The private web page, available to students and faculty, hosts assignments, class exercises and over 100 sides from current stage and screen audition sessions. Business of Acting: In-depth exercises and demonstrations of modern marketing both digital and traditional, branding, finding & keeping an agent and packaging the actor's overall image/skill-set. Audition Room Technique: Mock audition scenarios utilizing current audition material from recent screen and stage projects. Content provided to attendees prior to arrival via a private Paul Russell Casting web page designed exclusively for your program. Interview Strategies: Active exchanges of mock interviews with students to embolden inter-personal social and business skills for when meeting agents, casting personnel, directors, and producers. Most universities invite Paul to visit for several days, often over a weekend with multiple classes per day.. Single intensives during a day or evening Master Class visit are popular for Q&A sessions on the entertainment industry. Student actors get an insiders insight into the casting process for screen and stage. A commitment schedule to accommodate your student's needs can be arranged. Contact Paul directly @ contact. Paul's visits are very affordable. And competitive. Department chairs have noted the return reaped from Paul's visit with students and faculty far outweigh the modest investment. Fees for Master Classes outside of the NY metro region: Transportation, overnight accommodations (if required) and stipend. Fees for Master Classes within the NY metro region (includes Philadelphia): Transportation and stipend. Master Class inquiries can be made directly to Paul Russell via contact. "I just came from a class with my seniors and I expect your ears were burning for the last hour or so- they LOVED this weekend and all you gave them, so THANKS from me. We will want to bring you back again. In just a few days, you had a big impact here - so tell those NYU students to appreciate what they have in you - We certainly do!" "It was a terrifically productive workshop for us and hope it bodes well for future classes and work with you. 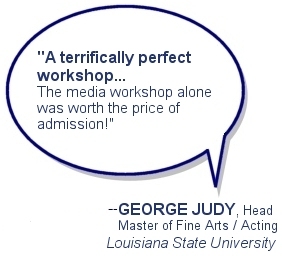 The media workshop alone was worth the price of admission!" Thank you! I know that the students received a lot of important information from you! It was both humbling and invigorating for them. I will be doing all that I can to make sure they stay on top of all that you have taught them! I hope that we can have you return again! I know that what you have to offer cannot be said enough. I feel as if I cannot thank you enough, but thank you! "It was great to have you here! The students got a lot out of it and enjoyed getting to meet you. "Paul, and thank you. It was a wonderful, eye-opening experience for the students, and we will most certainly be inviting you back in the future." "It was wonderful having you visit with our students here at UCO. I look forward to seeing you again." 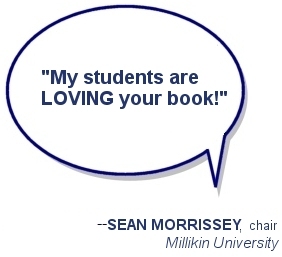 "Thanks again for talking to my students. They loved you! It was great meeting you, and we'd love to have you back as a featured speaker next year." 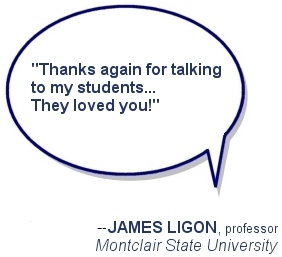 "I enjoyed our talks and certainly profited from your classes. We’ve already incorporated many of your suggestions in our “Audition” class. I do hope we can bring you back soon." "We are so grateful for the wisdom, experience, passion and compassion Paul brings to our students at NJSDA. 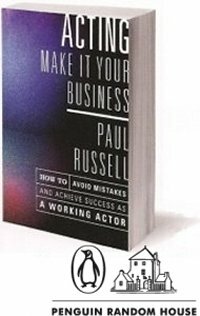 Paul's book, ACTING Make It Your Business and his seminars provide two of the industries greatest resources for actors." "Thank you for taking time out of your day to share with our membership your wisdom and humor! It was a truly wonderful evening and I am so happy you've been brought into the SAG Foundation family. If you are ever on the west coast, please let me know. We'd be more than happy to host an evening with you there too! Also, thank you for the signed books, and for the shout out on Facebook and for...oh geez...just thank you!" 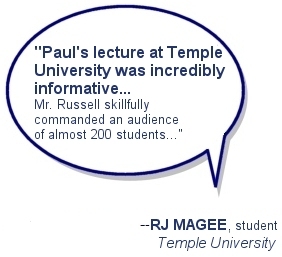 "Paul's lecture at Temple University was an incredibly informative session where he illustrated key points on how undergraduate theatre students such as myself can better prepare for successful careers in the entertainment industry. Mr. Russell skillfully commanded an audience of almost 200 students and gave us invaluable tips and advice as to the realities of such a competitive profession." 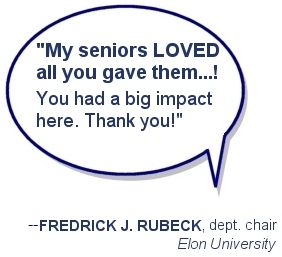 ""I just wanted to thank you from the bottom of my heart for coming to see us at Elon. Your workshop gave me a lot of answers I didn't know I even had questions for. I am so thankful to have had you here and I wish you the absolute best as you've given me nothing less than that. A reminder to us all: Don't lose the child. Never lose the child." "Thank you Paul. 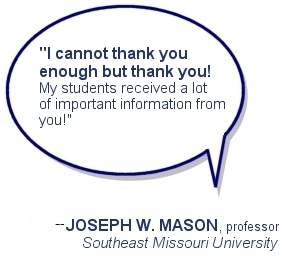 My students really appreciated the straight-forward, no nonsense knowledge about furthering their careers. They liked the idea that you did not sugar coat anything."